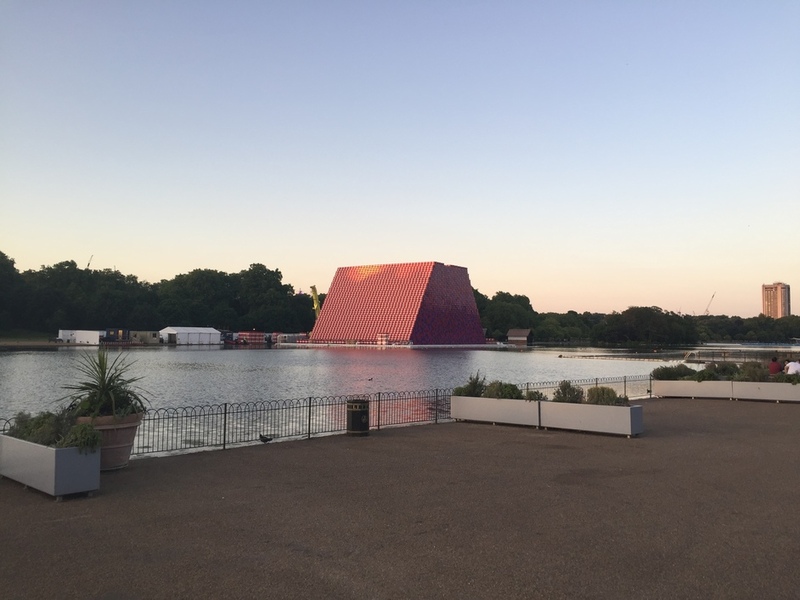 As part of a major exhibition of works by Christo and Jeanne-Claude the ambitious sculptors have created The Mastaba, a massive 20 metre installation floating on the Serpentine Lake. The first large-scale public sculpture in the UK by the ambitious sculptors who wrapped the Reichstag in the summer of 1995, the floating sculpture, which draws on the artists's history of barrel artworks, consists of 7,506 horizontally stacked barrels, specifically fabricated and painted in red, white, blue and mauve. It's not hard to see it if you're walking around the lake, having a swim in the lido or visiting the Princess Diana Memorial Fountain. Head to the Serpentine Gallery to see the workings behind Christo and Jeanne-Claude's outdoor projects, planned over many years. What are the best dining options near Christo and Jeanne-Claude: The Mastaba London? Christo and Jeanne-Claude: The Mastaba gyms, sporting activities, health & beauty and fitness. The best pubs near London Christo and Jeanne-Claude: The Mastaba. Christo and Jeanne-Claude: The Mastaba clubs, bars, cabaret nights, casinos and interesting nightlife. Where to have your meeting, conference, exhibition, private dining or training course near Christo and Jeanne-Claude: The Mastaba. From cheap budget places to stay to luxury 5 star hotels see our deals for Serpentine Boating Lake hotels, including The Levin Hotel London from 0% off.